A large bull elk calls in his harem with his proud bugle in the meadows of Moraine Park. 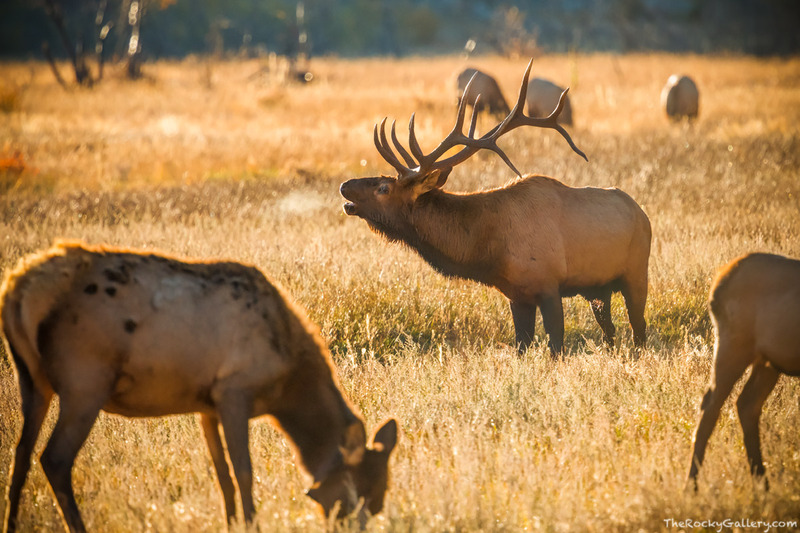 Every autumn, the elk come down from the higher elevations of Rocky Mountain National Park and the bull elk compete for the attention of the female elk. Large elk such as this one, are quite adept at keeping the other males at bay while watching over their harem. Photo © copyright by Thomas Mangan.